The GSMA has partnered with China Mobile to promote NFC at this year’s Mobile Asia Expo, following the successful NFC Experience provided to attendees at Mobile World Congress 2013. “We’re excited to launch the NFC Experience for Mobile Asia Expo, as it provides attendees the opportunity to experience first-hand the power of NFC technology throughout the Mobile Asia Expo venue, as well as in the Pudong area of Shanghai,” said Michael O’Hara, the GSMA’s chief marketing officer. Mobile Asia Expo will play host to an NFC Centre, a dedicated area for showcasing NFC handsets and NFC-based systems, as well as more than twelve NFC Experience Zones that attendees will be able to use to download information and maps, test out NFC vending machines and join in an NFC treasure hunt. The NFC Experience will also include an NFC Retail Zone offering discounts on purchases made in the nearby shopping mall, as well as the MAE NFC University Challenge, an essay competition for university students from the Shanghai region to outline their hopes and visions for NFC in the future. 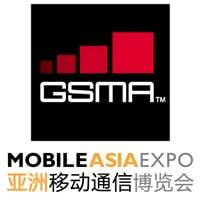 In this article, it says GSMA will offer the NFC experience at Mobile Asia, “after the successful NFC Experience provided to attendees at Mobile World Congress 2013”. I tested the NFC-enabled Sony Xperia at MWC 2013 in Barcelona and it was near-useless. The only thing I could do with it at the congress was tap a smart poster and access a website with information about the congress. Outside of the congress hall, no-one knew what contactless payments were. Spain is not ready for NFC and the NFC experience at Mobile World Congress 2013 was not successful in my opinion. Well, without knowing the criteria for success, it’s hard to say. It’s worth bearing in mind, though, that being in this test group still makes you — numerically speaking — one of the very first to try out the technology, so rough edges are par for the course. There’s a more detailed wash-up here. I think we can all expect that future iterations of the NFC Experience will be progressively smoother and wider in scope.